Who likes anything with lemon in it? Most of you I am guessing. 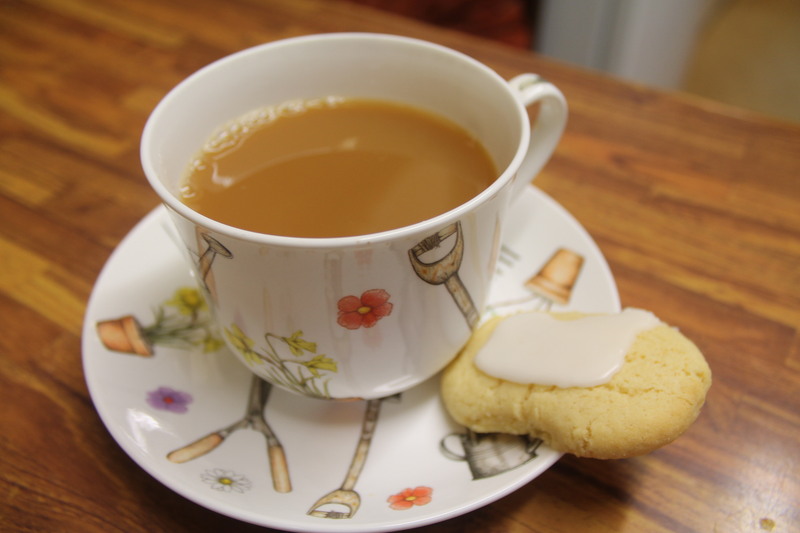 Even my hubby likes these biscuits and he does not like lemon! The recipe for these biscuits is very old and I can no longer read the name but I know it was from an old Italian lady and began with B. If anybody knows these biscuits then please let me know. Sift the flour into a bowl and add the sugar. Cube the butter and rub it into the flour and sugar until it resembles fine breadcrumbs. Whisk the egg yolks,then add the vanilla essence, lemon zest and a small amount of lemon juice and add to the dry ingredients. Mix well until the dough comes together. Shape the dough into a sausage and wrap in cling film and refrigerate for 30 minutes. Then remove the dough and divide into approximately 12 pieces, use your hand to shape the biscuits into either rounds, circles or S shapes. Place on the greased baking sheets and bake for about 10-15 minutes until the biscuits are pale golden and firm to the touch. Allow to cool on a wire rack. 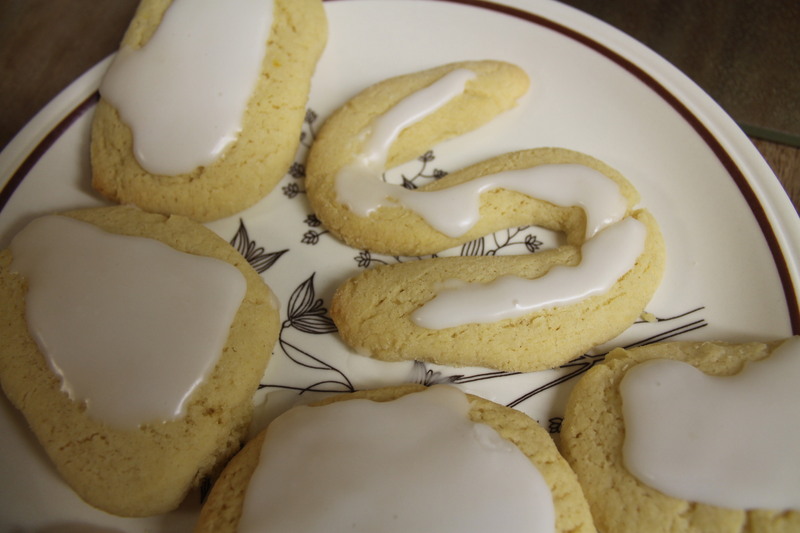 If you like you can make some icing with icing sugar and the rest of the lemon juice for some of the biscuits. They do go down well with a nice cup of tea.